← Does This Sound Like You? After weeks of following the highly controversial Trayvon Martin/George Zimmerman Case, I have decided to add this case into the Young N Educated files. There is much to be said about this case, but in a short answer I’ll say that the Stand Your Ground laws have to be amended for further interpretation. I say this because not only has the law created chaos within every community throughout America; but even legal experts have split decisions over the matter, thus creating confusion about how to uphold and execute the law at the time the law is used, which is part of what happened with the Sanford Police Department. This is a classic tug-a-war case which you’ll see the struggles of “where one person(s) rights begin vs where the other person(s) rights end”. Below is a brief overview of the case in great detail and the key elements to consider going forward. George Zimmerman (GZ)- Age 28 5’9″ approx. 190+ lbs (self-appointed neighborhood watch). Trayvon Martin (TM)- Age 17, 6’3″ approx. 140+ lbs (high school student). Feb. 26: Trayvon Martin, a 17-year-old Florida high school student, is found shot and killed, in Sanford, Fla., a community north of Orlando. GZ admitted to shooting and killing TM in “self-defense”. Police did not arrest him, nor administer a drug or alcohol test. They also did not run a background check. March 12: ABC News uncovers questionable police conduct in the investigation of the fatal shooting of Martin, including the alleged “correction” of at least one eyewitness’ account. Sanford Police Chief Billy Lee said there is no evidence to dispute Zimmerman’s assertion that he shot Martin out of self-defense. March 18: Martin’s family asks Attorney General Eric Holder and the FBI to get involved in the investigation of their son’s death. March 19: The U.S. Justice Department announces it has launched an investigation into Martin’s slaying. **The state attorney in Seminole County, Fla., announces that a grand jury will review the evidence of the case on April 10. March 20: Sanford police department admits to ABC News that investigators missed a possible racist remark by the shooter as he spoke to police dispatchers moments before the killing. March 22:Sanford Police Chief Bill Lee announces he is temporarily stepping down amid accusations that his department bungled the investigation into the shooting death of Trayvon Martin. Florida Gov. Rick Scott also announced State Attorney Norman Wolfinger, another key investigator tied to the case, agreed to withdraw and Lt. Gov. Jennifer Carroll would lead a special new task force to prevent future tragedies. April 10: Craig Sonner and Hal Uhrig, lawyers for Zimmerman, announced they will no longer represent him because he has stopped communicating with them. April 11: Florida special prosecutor Angela Corey announced that she will pursue a second-degree murder charge in Trayvon Martin’s killing. Zimmerman turned himself in to police. A second degree murder prosecuted as a first degree felony may result in a sentence of imprisonment for a term lasting up to thirty years. To prove second degree murder, a prosecutor must show that the defendant acted according to a “depraved mind” without regard for human life. Florida state laws permit the prosecution of second degree murder when the killing lacked premeditation or planning, but the defendant acted with enmity toward the victim or the two had an ongoing interaction or relationship. Unlike first degree murder, second degree murder does not necessarily require proof of the defendant’s intent to kill. GZ called 911 call out of suspicion TM was up to no good. GZ has called 911 40+ times over the past year. GZ admitted to shooting and killing TM out of self-defense (stand-your-ground). 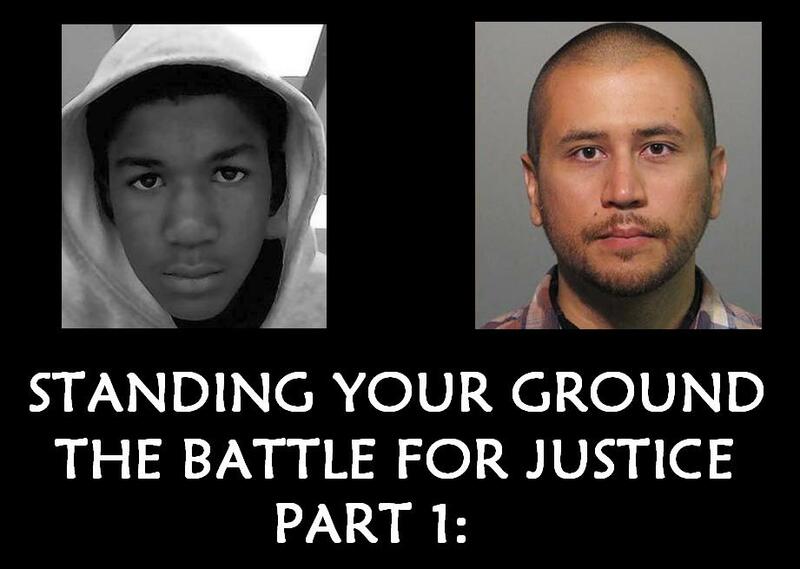 Police investigators *did not follow proper procedures, thus creating a tougher conviction for Zimmerman. At the end of the 911 call Zimmerman was out of his car. The crime scene occurred further from Zimmerman’s car. At the time of the altercation Zimmerman was armed with a gun. TM was not. A Witness claims he last saw TM on top of Zimmerman but did not see the moments of which the gunshot was fired. Two Witnesses have publicly stated the screams for help sounded like a boy.